I have wanted to start a blog for as long as we’ve been traveling, since March of 2011, I’ve just never known exactly what to say to the world. I think this first one will be a little bit about us and our new lifestyle of freedom. After relocating to TX for a job and getting laid off, we slowly started sinking in bills. We took a leap of faith, sold everything we owned but didn’t need and bought a fifth wheel camper to travel with work. In all honesty, making this move was probably the best decision we could have made. So far we have helped out with the tornadoes in Tuscaloosa, AL, spent a winter in Jacksonville, FL, spent time with family in Alabama and have went as far west as Rapid City, SD. On our maiden voyage, the F350 was not cooperating and it took a week to get to our first destination in AL. After mastering the skills of changing out the complete water system on the truck, we hit the road again heading east. We delivered some much needed supplies to the tornado victims all across AL and spent time with the family. When we left AL we knew we needed tires but ignored them, they made it across the TX highways in the heat of the day, surely they would make it at night to FL, right? On this trip we started out wrong with light and battery problems but ignored those signs, once again. We made it thirty minutes out of town and had our first blow out, followed by 5, yep I said FIVE more tires going bad. What was going to be a 12 hour trip turned into 36 hours quickly. After mastering the changing of tires, we finally made it to Jacksonville, FL and stayed for the next 7 months, enjoying the warm winter and ugrading the fifth wheel. After enjoying the wonderful neighbors of Pecan Park RV Park, we sadly had to head north as the weather warmed up. Our trip to Sioux Falls, SD was peaceful, in comparison to our past tries. After exploring Falls Park and downtown it was time to pack up and head to Rapid City, SD. 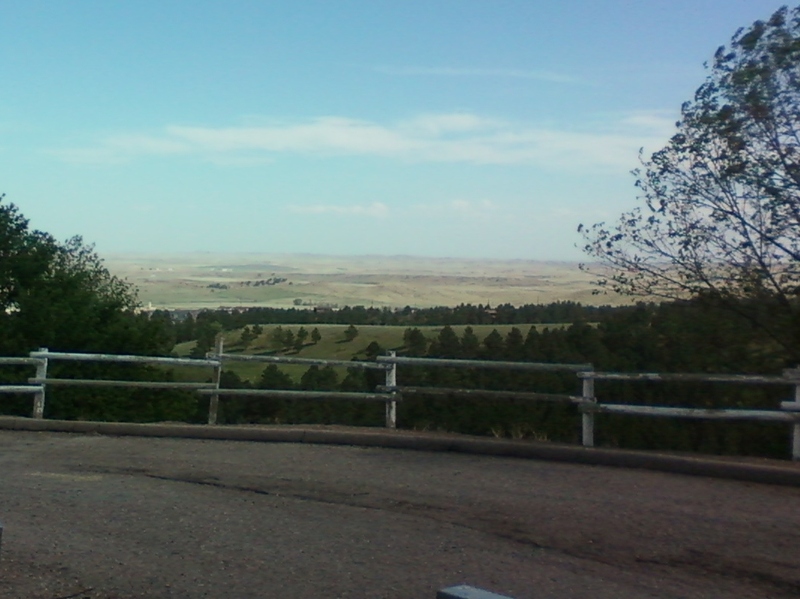 Upon arriving in Rapid City, we chose the perfect campground, the one on top of a hill with a view. After a month of exploring Custer State Park, Crazyhorse, Mt. Rushmore and the Blackhills National Forest, it was time to rest and relax for a bit. The resting was short lived as the hubby got the fulltime job he had been looking for and we had to get back into our routine for a few weeks before heading west.